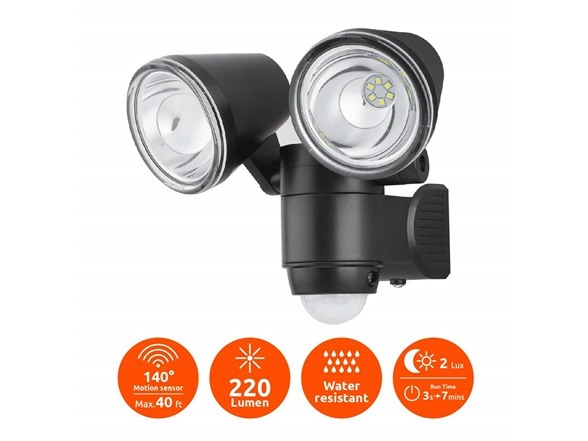 Link2Home’s Outdoor Battery-Powered Motion Sensor Dual Head LED Floodlight is the ideal solution for providing instant security and illuminating those dark areas around your home. Installing this light is a quick, easy and clean DIY task with no fuss or mess of any wires. 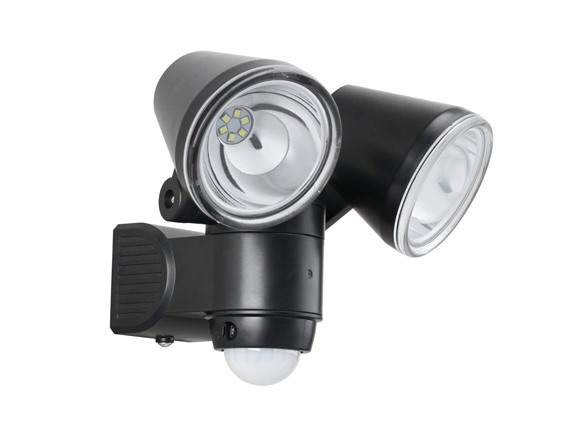 Conveniently position each adjustable LED light head to your liking on targeted dark areas to allow for a wider coverage area. 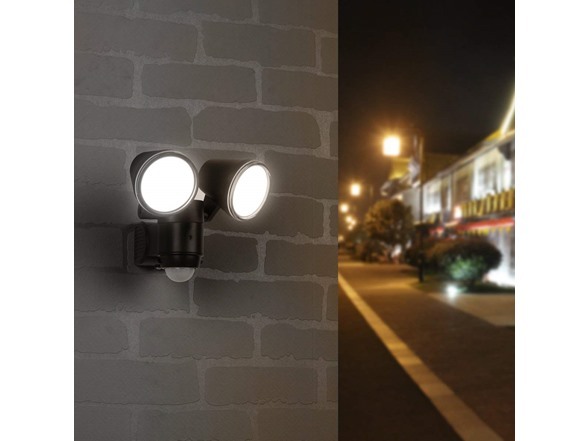 For your safety and security, a bright white light automatically illuminates when motion is detected. The lighting duration can be adjusted according to your needs, between 3 seconds to 7 minutes. Also, make the most of your light by configuring it to work only in the dark or during daylight hours for those shaded areas as well with a simple setting. This unit compliments your homes outdoor environment, while providing extra security and reliable, instant, eco-friendly lighting whenever/wherever you need it! Batteries required (not included).